The first morning he said hello. The second morning in the coffee shop he said hello and asked where I was visiting from. The third morning he said hello and bought my coffee on the condition that we sit for a bit and chat as he had noted I sat alone the previous two mornings, reading the newspaper. I agreed, and that is how I found wisdom from a man who runs a barbershop. When he joined me that third morning he saw that I was reading a story about Doug Ford, Toronto councillor and brother to the infamous and deeply troubled mayor of his city. He asked what I thought about the Fords and I commented that it seemed his city had a crisis. I was I suppose a bit surprised at how cavalier he seemed about it all, a political nightmare plaguing his city with new allegations, revelations and accusations at every turn. He called this a tempest? “A tempest in a teapot,” he emphasized. “Has anyone in my city been marched onto trains never to be seen again? Have any disappeared in the night without a word and no one knows where they have gone? Has anyone been thrown into jail without warning or defense? Has anyone stormed city hall with guns and grenades? Has anyone burned down buildings? Do you see any tanks?” he asked. And that is when I noticed the soft traces of an Eastern European accent in this older man, and that is when realization dawned that he had likely seen political strife that goes far beyond a tempest in a teapot. I told him about my city when he asked, and about our crisis. He asked the same questions, and when I told him the nature of the crisis – money and greed, allegations of corruption and cronyism – he replied “Aha! Good old Canadian political crimes!” and laughed, his eyes twinkling. He went on to explain that where he came from corruption was so common it wasn’t even something people talked about. Bribery was part of every day politics, and money and greed and elections went hand in hand. The true crises came when the guns came out, and when young people went to war and fought and died, their blood running in the streets amid bombed out buildings and houses. And then he asked a question. I nodded, because of course it is true. You can get so enmeshed in something you fail to see the microcosm in which you live, and the macrocosm outside your door. You focus on the tiny and fail to see the big picture. You think what you are experiencing matters so much and forget that it is but a tiny, tiny part of the whole. He asked what I do in my community and I told him. He told me what he does, cutting hair and giving hot shaves and talking to men all day long about their businesses and jobs and families and sports and health problems, and, yes, politics. He told me about his years spent volunteering with various groups in the downtown core, and I told him about this blog, and my writing, and my life, and my daughter. We talked about doing the things you can to make your city a better place to live, and what ordinary citizens can do when a tempest in a teapot begins – and what really constitutes a crisis and not a tempest. “So when you go home,” he said. “When you go home what will you do? Will you listen to the rumours, give fuel to the stories, take sides in the ‘battle’, or will you do what you always do and be who you always are while the tempest in the teapot eventually boils dry?” he asked, his soft grey eyes twinkling a bit. It was a good question, really, and anyone who knows me well and reads this blog already knows how I replied. It was the answer I have been leaning towards for some time, but I suppose I just needed a gentle push from someone who had seen a true crisis to help me understand the difference between a crisis and a tempest. I hope I have done him justice, although I don’t think it was hard to do. I didn’t record our conversation, although much of it is burned into my memory as those moments that re-align your thoughts, if not the stars, do. 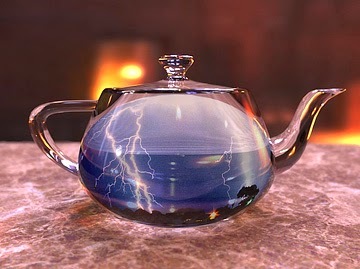 If he is reading this I want to say thank you – for the new perspective, the new nickname and the renewed commitment to refuse to add to the tempest and simply weather the storm instead, working to make a difference every day until (and long after) the teapot runs dry. I love it. He sounds like a wise man. Love this one! Perspective is everything. The Man who runs a Barbershop nailed it.